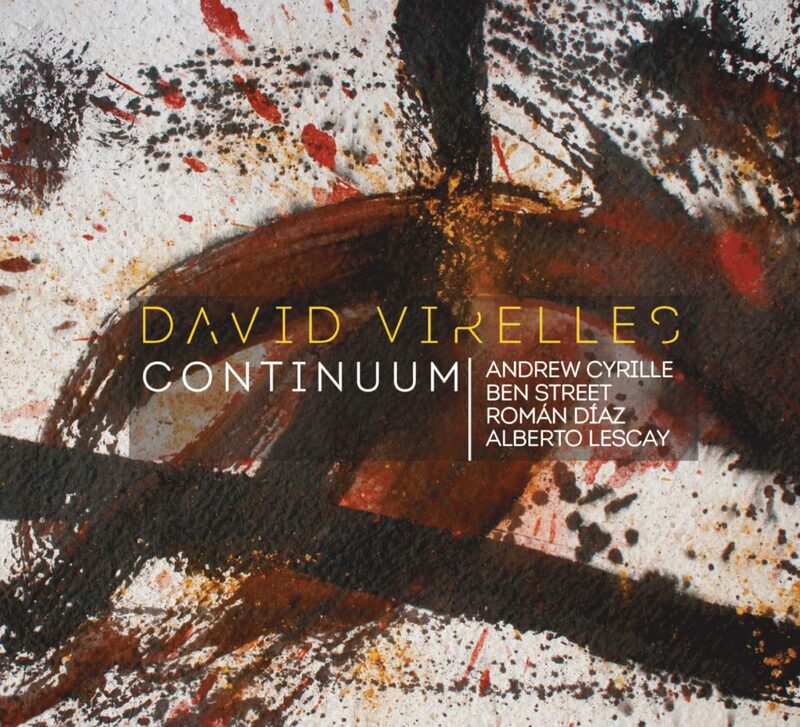 Recently named one of four young pianists on the rise by the New York Times, David Virelles makes his Pi Recordings debut with Continuum, a collaborative effort with legendary drummer Andrew Cyrille, bassist Ben Street, and Cuban folkloric percussionist/poet Román Díaz. Virelles has in a short time become one of the most in-demand pianists in jazz, working in the bands of saxophonists Steve Coleman, Chris Potter, Ravi Coltrane, and Mark Turner. He will be appearing on upcoming releases with Potter and trumpeter Tomasz Stańko, both on ECM. Continuum is his second album as a leader and the first since moving to New York in 2009. Rather than focusing on the sort of bravura displays of pianism one might expect from a young pianist, the album is instead an episodic meditation on the power of Afro-Cuban folkloric traditions that fully reflects his open-minded interest in the confluence of music and other art forms. The music on Continuum is inspired by Cuban folklore, specifically Afro-Cuban ritual practices as embodied by its music, poetry, storytelling, dance, symbols, art, divination and magic. Virelles traveled to Cuba in 2011 to do research in an effort to gain a deeper understanding of how music functions within that setting. “My main goal with this project was to create a work that would feature sociocultural interaction”, Virelles says. “By that I don’t mean that I’m trying to revisit or reproduce a particular tradition. Instead I am interested in finding out why people express themselves through folklore in the way that they do, and how I can embody that in my music.” This is most obviously manifested by the presence of the poet and percussionist Román Díaz, who brings a direct connection to these cultural traditions. Díaz, a former member of Yoruba Andabo, which is one of the most representative folkloric groups out of Cuba, brings a theatrical element to the music and his performance. His poetry, which is in Spanish as well as ritual languages from the three main cultural lineages of African origin found in Cuba: Karabal, Kongo and Yorb-Lucum, infuses the proceedings with an air of drama and mystery. Virelles also thought hard about the other musicians he wanted to collaborate with on Continuum. He has admired bassist Ben Street’s playing from their experience working together in a number of groups, including Mark Turner’s band. It was also Street who first suggested Andrew Cyrille for the band. “The first time I heard Andrew was on Cecil Taylor’s Unit Structures and I’ve been a huge fan ever since. I imagined that he would bring a lot to the music because of the depth of his sound, his understanding of rhythm, and the sense of storytelling in his playing. Andrew is of Haitian descent, and I can hear that in his music.” It was also important to Virelles to work across generations: “I wanted to have access to the kind of experience that people like Andrew have, and I was very curious about what kind of music this particular combination of personalities would create.” Also performing on the album, on the track Our Birthright, are the saxophonists Román Filiú and Mark Turner, and trumpeter Jonathan Finlayson. To further explore the relationship between music and other art forms, Virelles collaborated with the renowned Cuban painter and sculptor Alberto Lescay whose public sculptures and memorials can be found throughout Cuba on a series of twenty paintings that are inspired by the music of Continuum and a trip the two took together to the Cuban-Haitian community of San Felipe de Thompson in Santiago de Cuba. Those paintings can be seen at: www.davidvirelles.com. Virelles says of his music: My goal is to strip everything down to its essence and bring expression to the fore. I want it to be organized and structured yet still feel improvised and spontaneous. What he has created is a mature, fully realized work that plays out in a narrative arc filled with mystery and lyricism.